Comprehensive eye exams can detect eye diseases and disorders such as glaucoma, cataracts, retinal detachments and macular degeneration, as well as other health problems such as diabetes and high blood pressure. Because your eye is the only organ that can be viewed outside the body, eye doctors are often the first healthcare professional to detect systemic conditions. Unlike a vision exam, which only assesses your vision. A comprehensive eye exams assess your visual system and eye health. This typically involves, a vision evaluation and a medical evaluation. Getting an annual eye exam is like getting a “physical” for your eyes. That’s why it is important to make it an essential part of your annual healthcare program. Our exams include a detailed assessment of your vision and overall health. This includes checking eye pressure, visual acuity, peripheral vision, and depth perception. We also assess how your eyes work together as a team and evaluate your eyes as an indicator of your overall health. In addition, we evaluate you for many eye diseases such as, glaucoma, cataracts, macular degeneration and retinal vascular diseases such as diabetic retinopathy. To enjoy a lifetime of good eyesight, it is essential to keep your eyes functioning properly. 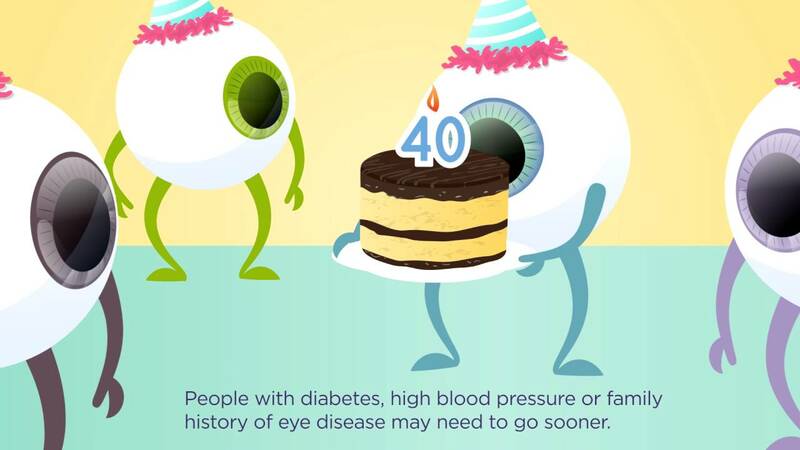 That’s why getting an annual comprehensive eye exam is so important! A comprehensive eye exam will help to detect any eye problems at their early stages when they’re most treatable. If you need to book an exam or need more information about how dilation works, contact our office at (805) 522-7007.